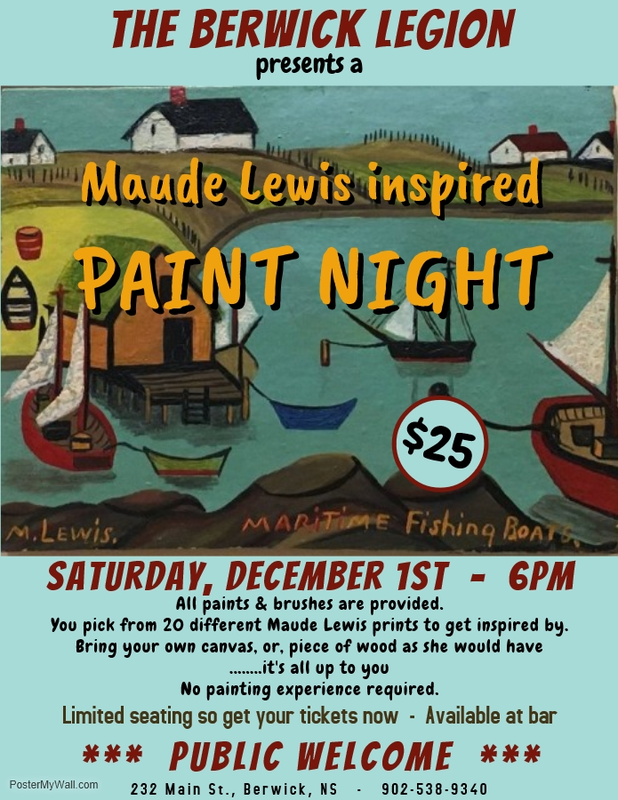 Come on out for a lovely night of relaxed, no direction painting inspired by Maude Lewis. 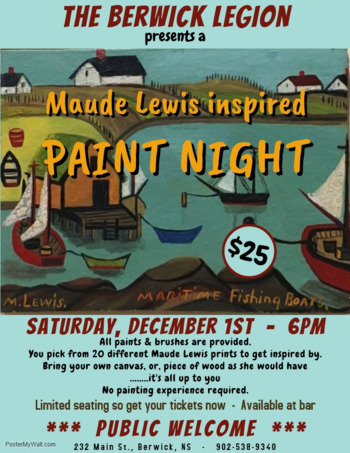 All paints and paint brushes will be provided. As well as your pick out of 20 different Maude Lewis prints to get inspired by. Bring your own Canvas, so you can decided what size you would like to paint or or bring a piece of wood just like she would have.. It's all up to you. It's going to be a great night!! make the password legion and put your name in the info! Limited seating available. So get your tickets now before they are gone!